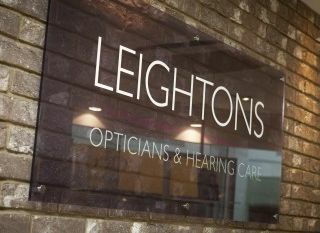 Leightons HearingCare Ltd, Leightons Ltd and Leightons Franchises Ltd are all subsidiary Companies of Leightons Holdings Ltd.
Leightons Opticians is a member of and regulated by ABDO, GOC & FODO governing bodies. 1.1 Please note that all references to "Leightons" refer to Leightons Opticians. References to "Content" means all material on this website. 2.1 The Content belongs to Leightons, or its licensors. You may retrieve and display Content from this website on a computer screen, print individual pages on paper (but not photocopy them) and store such pages in electronic form on disk for your personal, non-commercial use. 2.2.3 create a database in electronic or structured manual form by systematically downloading and storing all or any of the Content. 3.1 The Content is only for your general information and use. Whilst every effort has been made to ensure the accuracy and suitability of the Content on this website, the Content does not constitute any form of advice or recommendation by Leightons. Any medical information or comments are general and should not be relied upon as specific to every case. 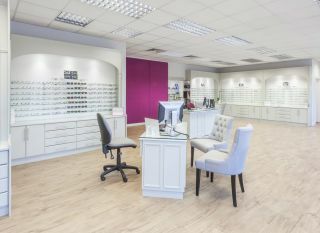 It must not be relied upon as a replacement for seeking advice from a Registered optician or other professional person. Please contact one of Leightons' qualified professionals for further information on eye care related questions or concerns. 3.2 Leightons give no warranties in respect of this website. This website is provided on an "as is" and "as available" basis and Leightons do not guarantee the accuracy, timeliness, completeness, performance or fitness for a particular purpose of the website or the Content. We do not warrant that this website is free from infection by viruses or anything else that has contaminating or destructive properties. All implied warranties are excluded by these terms and conditions to the fullest extent that they may be excluded by law. 3.3 To provide increased value to users we provide links to third party websites. If you use these links, you leave the Website. We have not reviewed all of these third party websites and do not control and are not responsible for these websites or their content or availability. We do not endorse or make any representations about them, or any material found there, or any results that may be obtained from using them. If you decide to access any of the third party websites linked to this website and/or make any arrangements through such websites, you do so entirely at your own risk. 3.4 Leightons shall not be liable in contract, tort, negligence, statutory duty or otherwise, for any loss or damage whatsoever arising from or in any way connected with your use of this website, the Content or any other website linked to this website, including without limitation, damage for loss of business, loss of profits, business interruption, loss of business information, or any other pecuniary loss (even where we have been advised of the possibility of such loss or damage) Provided that nothing in these terms or elsewhere shall limit or exclude the liability of Leightons for death and personal injury arising from Leightons' negligence, or any other liability which cannot be excluded or limited by law including fraudulent misrepresentation. The content of this website and your relationship with Leightons are governed by English law and shall be subject to the exclusive jurisdiction of the English Courts. Leightons reserves the right to change these terms and conditions from time to time without giving you prior notice. We would like to make your visit to this Leightons website interesting and informative and by using this website you consent to the terms and conditions as stated herein and elsewhere in this website. Should you for any reason not accept any aspect of the terms and conditions, you must not use the website. Leightons provide you with access to this website solely for your personal and private use and you must only access and use the website for lawful purposes and in a lawful manner. You agree to comply with all applicable laws, statutes and regulations regarding this website and any communications conducted on or through this website so. 5.2 We may also use your data, or permit selected third parties to use your data, to provide you with information about goods and services that may be of interest to you and we, or they, may contact you about these by post or telephone. 5.3 Where we permit selected third parties to use your data, we (or they) will contact you by electronic means only if you have expressly consented to this. 5.4 If you do not want us to use your data in this way, or to pass your details on to third parties for marketing purposes, please tick the relevant box on the form on which we collect your data. 7.2 This site may, from time to time, contain links to and from the websites of our partner networks, advertisers and affiliates. If you follow a link to any of these websites, please note that these websites have their own privacy policies and that we do not accept any responsibility or liability for these policies. Please check these policies before you submit any personal data to these websites. If you have any further questions in regards to your Personal Information when using the website please email us at: [email protected] or write to us at: Clarendon House, 63 Downing St, Farnham, Surrey, GU9 7PN.